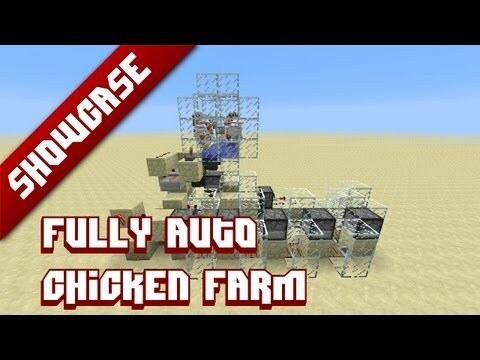 Using the new hopper in the latest snapshot I managed to create a fully automatic chicken farm that will build up eggs in a buffer chest, shoot out all the eggs at once when the chest is full and finally, after 20 minutes pass it will kill the chickens when they are fully grown to size. After that is done the process repeats itself! 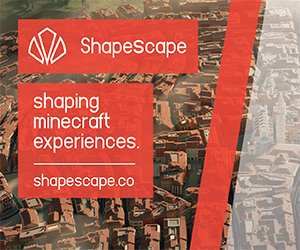 Codecrafted, 1.5 is gonna be your favorite update so far, isn't it? Might have been better if it just cooked the chickens, too. I'd rather have cooked chicken than raw chicken. Thats a good idea. like a fire charge dispenser. yeah, fire charge=X a lava dispenser that lets out lava for 1 sec then returns would be perfect. I have revamped this setup to cook the chickens. Plus it uses droppers, so the timing mechanism can be constantly refiled with eggs. Here. Would this work with the redpower transposer? 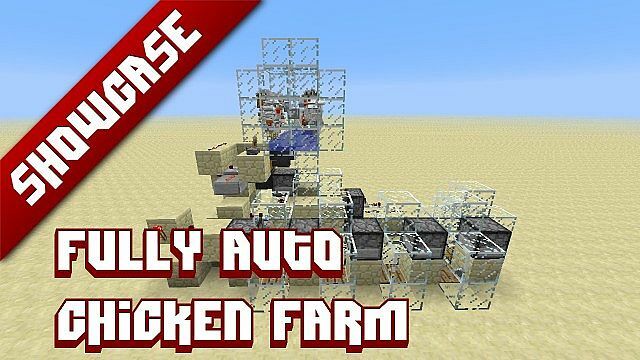 I know you don't use mods but it pretty much does the same thing only it needs a redstone signal. I never watched the snapshot spotlights for this one so I don't know exactly what the hopper does. The hopper picks up any items dropped and places them into a chest its connected to.